Obituary: Margaret Yablonski Gawarecki, of 2002 Roser Terrace, Rome, passed away on Monday, June 20, 2011. 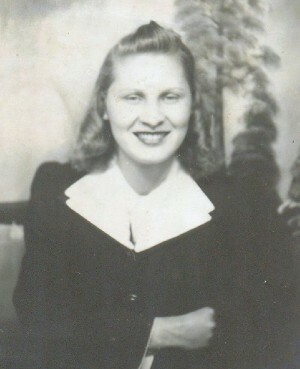 She was born on March 2, 1918, the daughter of Safron and Anna Yaworski Yablonski, in Indian Head, Pa.
A graduate of Oswego State Teacher’s College, Margaret taught in the Mexico and Boonville school districts. She was married to George Gawarecki and had lived in Rome since 1945. She was a member of St. Peter’s Church. Margaret is survived by two daughters and a son-in-law, Patricia Gawarecki, of Lansdale, Pa., and Pamela and William Koenig, of Oriskany; two sons and a daughter-in-law, Daniel Gawarecki and Jenny Toh, of Cedar Knolls, NJ, and David Gawarecki, of New Haven, Conn.; four grandchildren, William (and Betty) Koenig, Robert (and Nicole) Koenig, John and Mikayla; and four great-grandchildren, Gabrielle, Nicholas, Chase and Dean. She is also survived by several nieces and nephews in Oswego County. She was predeceased by her husband, George; six brothers, Edward, Joseph, Walter, Michael, Theodore and Stephen; and two sisters, Estelle, and Olga. Services: A Mass of the Christian Burial was held at St. Peter’s Church at 10 a.m. on Friday, June 24, where the Rev. Philip A. Hearn officiated. Interment was in Rome Cemetery. In lieu of flowers, the family requests that contributions be made to the Oswego College Fund, 219 Sheldon Hall, Oswego, NY 13126. Please note on all checks that such contributions are being made in the memory of Margaret Y. Gawarecki and should be designated for the School of Education.